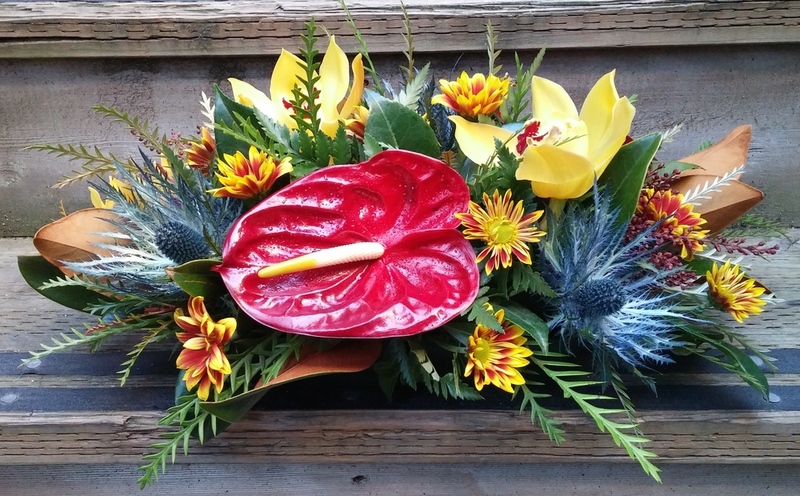 Fall is an exciting and inspiring season when it comes to creating interesting floral designs! The local grower's market shows off the bounty of the season - fall gourds, field chrysanthemums, ilex berries, moss covered branches, maple leaves, flowering kale, grasses like millet and broom corn, fantail willow, dried fungus and seed pods, safflower, strawflower and sunflowers. Browse the Autumn designs below for inspiration! 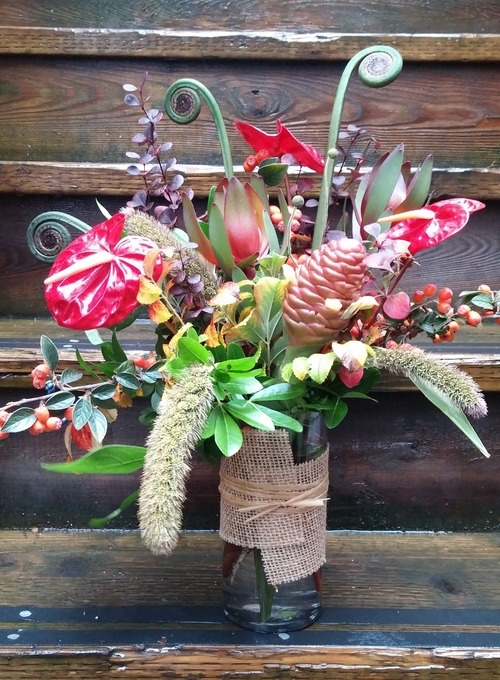 Celosia, hydrangea, ninebark and oak foliage.